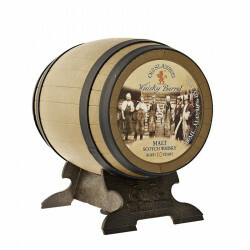 Old Saint Andrews Whisky Barrel holds the luxury blend of the company. The Old St Andrews Company gained reputation with its famous golf ball-shaped whisky bottle. With this cask-shaped edition, the Scottish company celebrates the cooper craftsmanship in the 19th century and pays its respects to the cask maturation process that give the Scotch Whisky its flavour and colour. 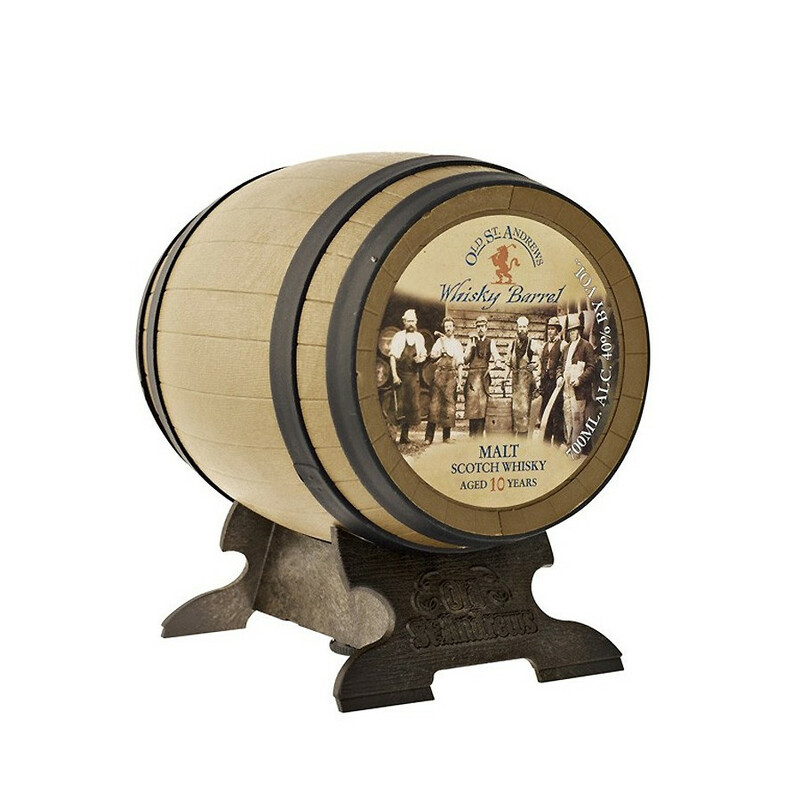 Old Saint Andrews Whisky Barrel holds, in a mini-cask container, the luxury blend of the company with sweet notes of oak lifted by acidulous fruits, lemon, orange, and malty, biscuity flavours. The Single Malts combined in this 10 Year-Old Blended malt mainly come from Speyside. At Old Saint Andrews, special attention is given to each step of the production. 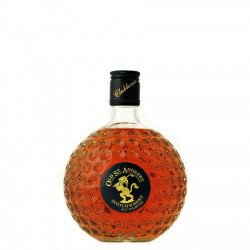 The Old Saint Andrews Company, specialist of whisky bottling related to golf, a noble sport, made the golf ball-shaped whisky bottle one of its flagships. At Old Saint Andrews, special attention is given to each step of the production, from labeling to bottling and packaging in the Old St Andrews facilities. Many of the bottles and miniatures offer a luxury premium blend called Old Saint Andrews in reference to the famous Scottish golf course. The Single Malts entering in the blend originate mainly from Speyside. This whisky bottle with a golf ball shape is the flagship of Old Saint Andrews. Character: sweet nose, with malty notes of caramel and brioche. Nose: fruity (pear and citrus fruits), spices. Palate: notes of green apple and malted barley. Finish: fresh nuts and buttery notes.